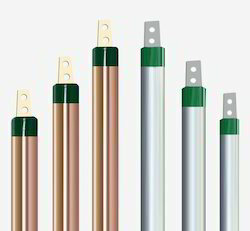 Manufacturer of a wide range of products which include earthing electrodes, copper earthing electrode, copper bond earthing electrode(solid rod), chemical earthing electrode, copper bonding chemical earthing electrode and copper chemical earthing electrode. 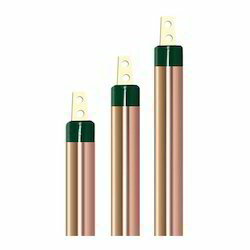 We are the leading manufacturer, supplier of Earthing Electrodes in India. These are manufactured with state of the art technology and high grade raw material to provide unmatched quality. These are highly popular among our valued client's due to durability and price. 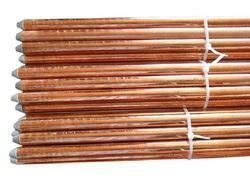 We are the leading manufacturer, supplier and exporter of Copper Earthing Electrode in India. These are manufactured with state of the art technology and high grade raw material to provide unmatched quality. These are highly popular among our valued client's due to durability and price. 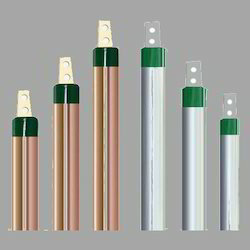 Copper Bond Earthing Electrode Provide the most cost-effective earth systems. They are made from a Low Carbon, High Tensile Strength Steel Tubes with a coating of Molecular Bonded 99% Pure Electrolytic Copper. Chemical Earthing Electrode is considered to be the most effective solution for consistent and permanent earthing. They are maintenance free and have minimum fluctuations and are eco friendly. They are highly reliable for safety of human life and have more surface area of conduction. 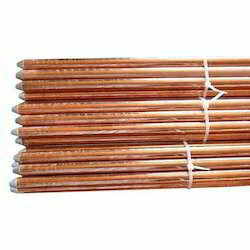 We are offering wide collection of Copper Bonding Chemical Earthing Electrode to the clients. The companies are trying their best to make their products more authentic and durable. Offered range is made using optimum grade raw material and in accordance with global norms and standards. 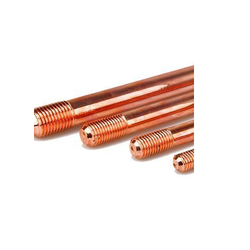 We have gained years of experience in trading, supplying and distributing Copper Chemical Earthing Electrode. These earthing rods are widely demanded by several residential societies, commercial complexes and corporate houses. Our prestigious customers can avail from us a wide spectrum of Pure Copper Earthing Electrode which is widely used in various devices. Our offered assortment is manufactured using quality assured raw materials.